Are you searching for a gift to present during a christening ceremony? Or do you need a gift for a godson or goddaughter's birthday? In online stores you can find a variety of traditional and original ideas for christening gifts with traditional religious meaning. 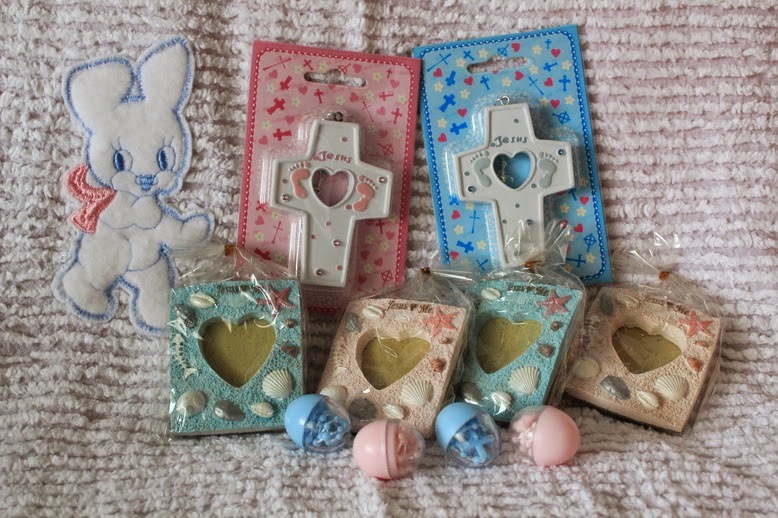 The most traditional religious gifts from godparents are cross and clothes that you can buy with discounts online or make on your own if you are into handcrafting or sewing. Christening of a newborn or toddler up to 3 months - you can give the photo frame on the first year or baby album. If the future godchild is teething, the best gift for children baptism is silver spoon or a first tooth box. After one year the godson or goddaughter can give the box to mommy so that she could also save the child’s first curl. For an older child who can read you can buy a Bible but it should be a Children's Bible version with simple text and bright colorful pictures. Expensive and solid gift for a baptism ceremony is the deluxe edition, leather-bound Bible with the engraved name in a silver frame. A timeless gift for baptism ceremony for an infant will be a piece of silver jewelry – a pendant, earrings or a bracelet for both boys and girls. Don’t forget to engrave the name of your godson or goddaughter. Personalized gift is always more pleasant and appreciated. You can buy baby earrings or a bracelet as a gift for goddaughter and godson – the main things to remember is that all jewelry pieces should be made of hypo allergic silver alloy.